These trail descriptions are designed to be used with our trails map. They should not be relied on exclusively. Thank you for leaving the trails better than you found them. 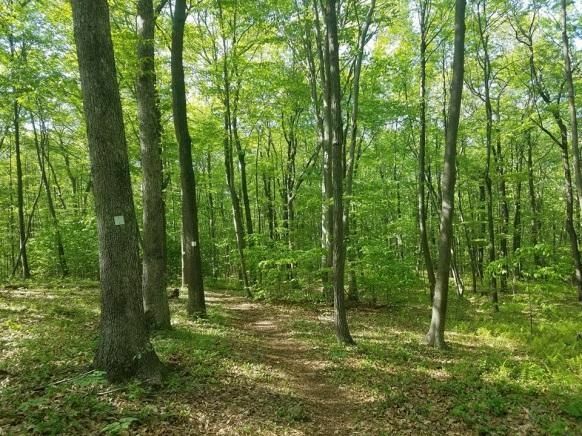 To assist with trail improvements or report on trail conditions please contact the Mount Olive Open Space Committee (davidethanalexander@gmail.com) and join our Facebook group to learn more about trail walks and volunteer opportunities. • Trails are open from dawn to dusk. • Trails are carry-in, carry-out; refuse is to be disposed of properly. • Pets must be kept on leash and cleaned-up after. • Motorized vehicles are prohibited, including ATVs, motorcycles, and snowmobiles. Police may impound such vehicles pending a municipal court hearing. • Horses and bicycles are allowed on some trails (check trail descriptions). • Please use our trails with a stewardship ethic, leave them better than you found them. • Respect private property and nearby homes. Stay on designated trails. • Wear bright colors on all trails during hunting season (September through February). • Tell someone where you are going and when you expect to return. • Prepare for weather changes and bring plenty of water. • Make sure to check yourself for ticks upon the completion of your hike. 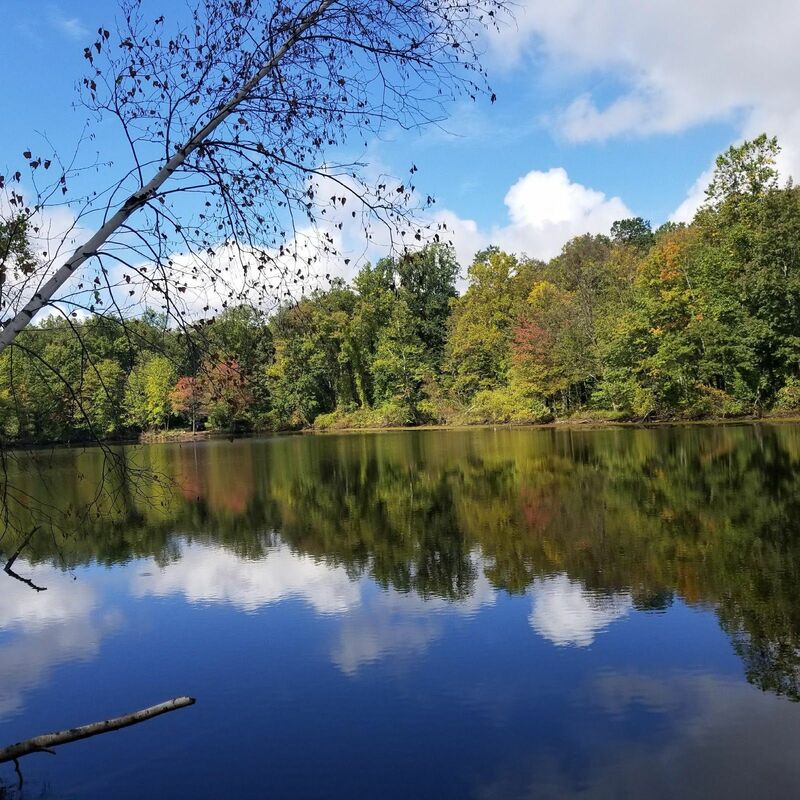 • Share photos on social media to help highlight our natural areas and recreational opportunities. 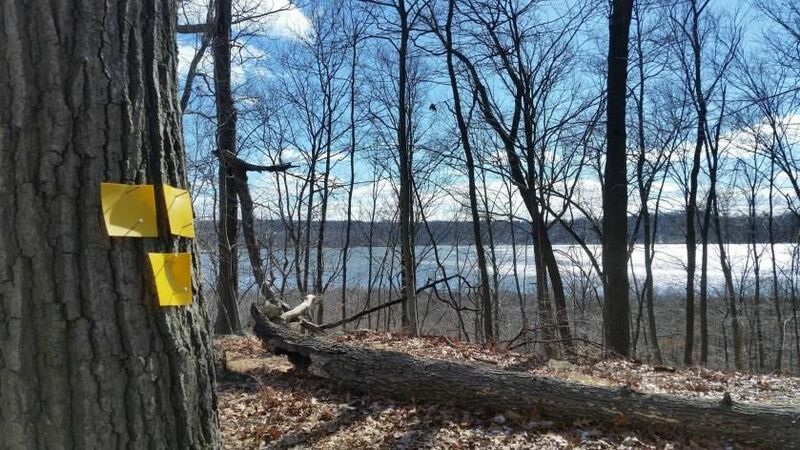 -74.717325 ) and/or a return hike to where the trail begins off of route 46 1.9 miles away( 40.887964, -74.723251 ). Distance: 0.8 mile to the pond. hardwood forest of Oak and Maple to reach the pond. You may wish to turn around after enjoying the pond or continue further on an extended hike using the trails map. 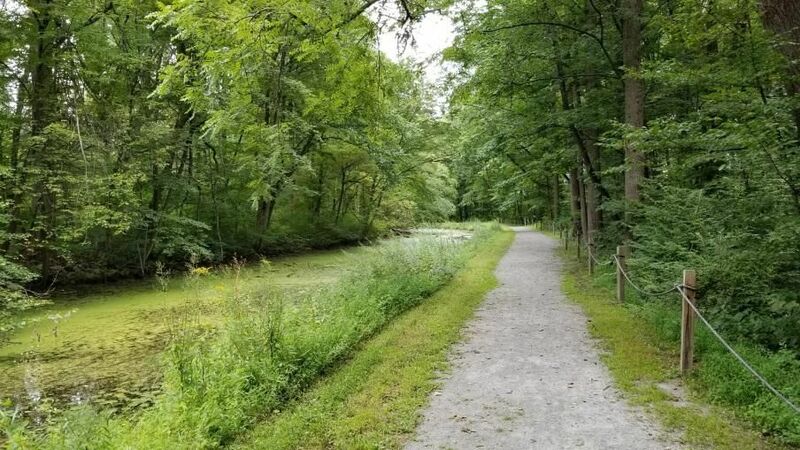 The white trail continues past the pond towards Mount Olive High School and does offer a loop around if you connect with the orange trail (approximately 1 hour). Look for Beaver, King Fisher, Pileated Woodpecker and more. The pond offers wonderful opportunities to fish for Bass, Bluegill and Perch. Please be sure to carry out fishing refuse and leave the place better than you found it. Distance: 1.4 miles there and back. pathway. Look for the many Painted Turtles basking on rocks and logs and King Fishers feeding when water levels are low. Native plant species including Goldenrod, Joe Pye Weed, Iron Weed, Milkweed and Elderberry are on brilliant display during the late summer and early autumn. This trail also offers excellent opportunities for a level snowshoe or xc ski pathway. 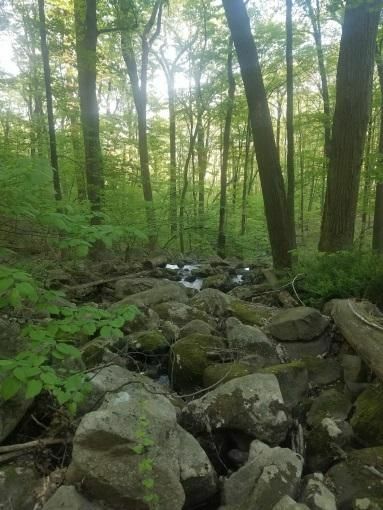 At the Stanhope side of the trail is the Musconetcong River and opportunities to catch trout after the spring stocking abound. of the lake. Did you know the lake has a maximum depth of 12 feet and is on average about 9 feet deep? More Trails in Mt. Olive! The Land Conservancy of New Jersey! see the next blazem follow the path on the ground. If you don’t find another blaze you may well be on the wrong path. Return to the previous blaze and try again. A tick that is infected with certain types of bacteria can bite people and cause them to become sick. You can reduce the risk of getting diseases from ticks by taking steps to avoid getting bitten by a tick. • Wear solid, light-colored clothes. This will make it easier to find a tick on your clothes. • Tuck your pants into your socks and wear a long-sleeved shirt. This will help prevent a tick from attaching to your skin. other type of repellent contains permethrin and should ONLY be used on clothes. Always read and follow label directions carefully. • Stay on the trails and avoid tall grass and vegetation where possible to reduce opportunities for interaction with ticks. • Check yourself for ticks frequently when you are in tick-infested areas. Check again after returning and again before going to bed. Don’t overlook some of ticks’ favorite hiding places—on the scalp, behind the ears, under the arms, on the ankles, and in the groin area. Mt. Olive Open Space Committee would like your help! 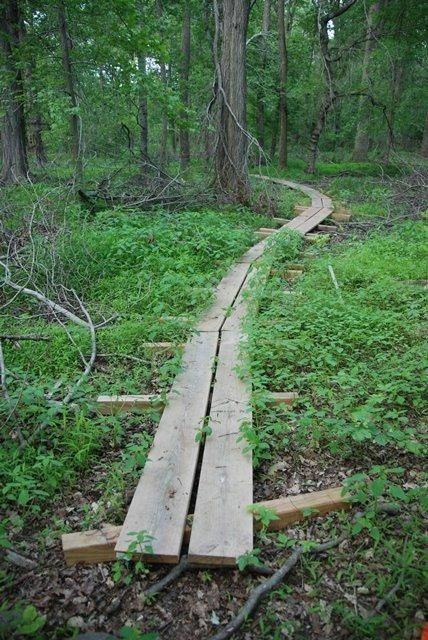 Can you build wetland boardwalks for our trails? Informational kiosks? 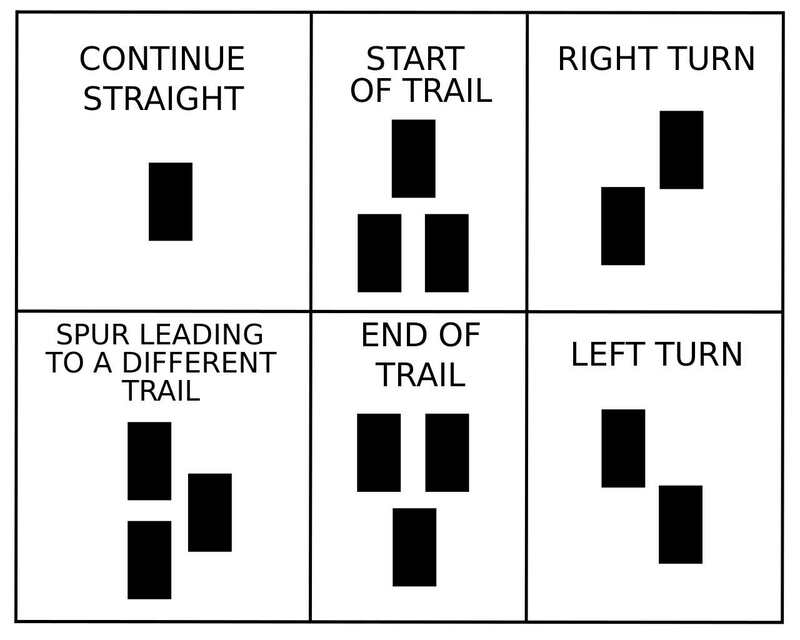 Routed Trail Signs?